With what some regard as Manchester’s best coffee, Takk is a must for anyone living in or visiting the North Quarter. Pair a latte with their renowned ‘Nduja & Eggs’ for the perfect Sunday pick-me-up. This hidden away shop is the ultimate coffee lover’s paradise. The knowledgeable staff and worldly selection are great for those looking for quality on the go. What’s more they were one of the first independent coffee shops in Manchester to register for UK Coffee Week this year! Catch up with an old friend or that work you’ve been putting off at this café/design store hybrid. 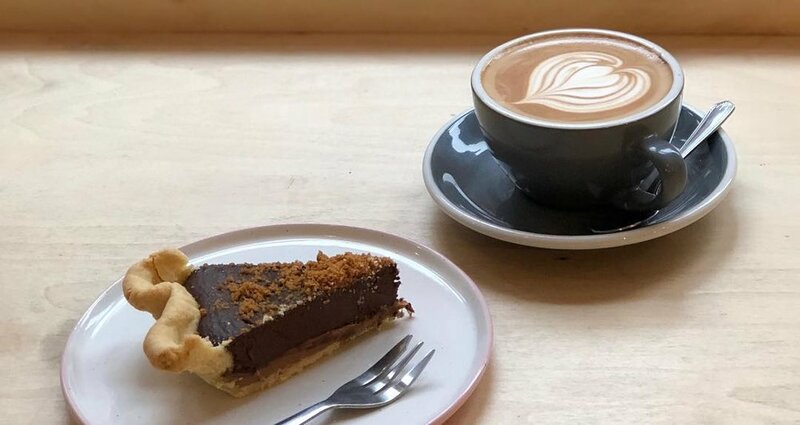 From delicious coffee and pastries to impeccable service, Fig + Sparrow ticks all the right boxes. In the heart of the North Quarter lies the larger of two Foundation locations. The shop’s industrial ambiance sets it apart from other independents, along with its extensive list of events, workshops, pop-ups, and more. This pay per minute social space is a trendy alternative to your average coffee house. They charge 8 pence per minute and everything else is free – including biscuits, cakes, pastries, toasties and, of course, coffee! Located in the Greater Manchester area, Amico Café is Bolton’s favourite brunch spot. The vast food selection, friendly staff and comfortable setting have locals going back for more. Enjoy a cup of locally roasted coffee, or made to order sourdough toastie, in a relaxed atmosphere full of bicycle themed art! Satisfy all your comfort food cravings at this Great Northern Square shop. Whether it be the chicken and waffles or Oreo & frosting pancakes, you really can’t go wrong! Enjoy delicious coffee and a wide range of blends at this minimalistic, plant-filled oasis. They have various vegan options and a pie selection that is absolutely to die for. You’re pretty much guaranteed an all-around exceptional experience at Federal. With Ozone coffee and beautifully prepared plates, this popular spot is well worth the wait. And there they are - your 10 coffee shops to visit in Manchester. Who would you add to our list? Let us know in the comment section below and start getting excited for UK Coffee Week later this month!